Academy Massage Blog: Which Type of Massage Provides the Most Benefit? Which Type of Massage Provides the Most Benefit? There are many different types of massages. Some are used for specific ailments, such as migraines and asthma, and others are used for specific health conditions, such as a prenatal massage or one to help an athlete who is sore. Overall, however, there is one type of massage that tends to do the most good when used regularly, and that is a deep tissue massage. 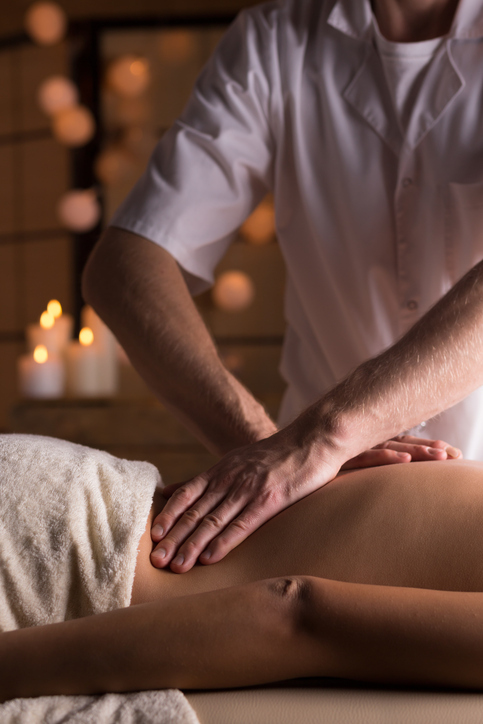 When you get a deep tissue massage, it is meant to relieve tension within the muscles. The tension can come from overuse, from an injury or illness, or any number of other causes. A deep tissue massage pushes down below the top layer of muscle, and gets into the deeper layers, which is where the name came from. Deep tissue massage helps the body on numerous levels. It can help break up scar tissue from injuries, decrease the pain and inflammation of arthritis, and it can help alleviate chronic pain from the patient. It has been shown to decrease high blood pressure, and to reduce stress and anxiety. Deep tissue massage also commonly helps increase an athlete’s overall performance, letting them stay at the top of their game even longer. If you want to start adding a deep tissue massage to your routine, then find an experienced massage therapist in your area. At Academy Massage, you can get a deep tissue massage that can bring you relief from pain, as well as leave you more capable of performing your daily tasks. Give us a call today!